Triple-digit temperatures couldn’t keep tourists away from Las Vegas as a summertime surge helped propel McCarran International Airport to another single-month record for passenger traffic. 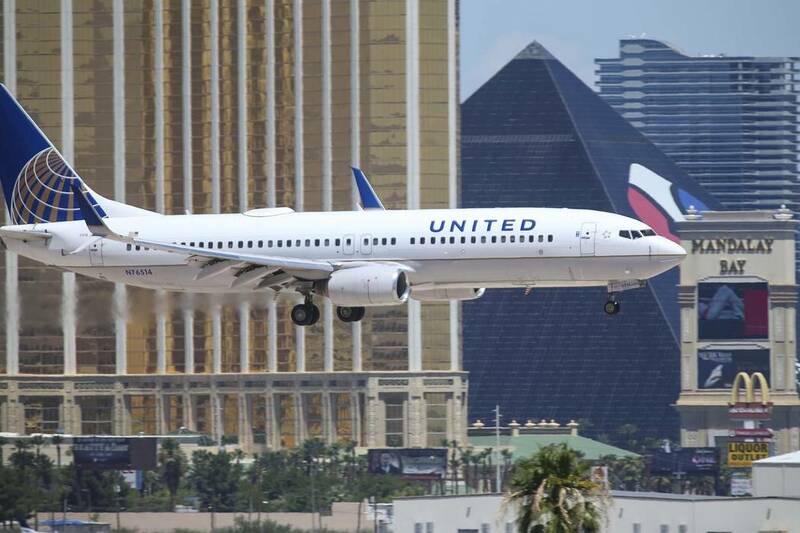 More than 4.42 million airline passengers arrived or departed from the Las Vegas airport in July, topping the previous record set just two months earlier, the Clark County Aviation Department reported Monday. “Travel is strong in America right now and people are spending money they wouldn’t otherwise spend on items like travel,” said aviation consultant Mike Boyd, president and CEO of Boyd Group International in Colorado. McCarran airport’s single-month record of 4.3 million airline passengers, set in August 2007, had remained untouched for nearly a decade, mostly due to a decline in travel during the recession. That single-month record was finally shattered in July 2017. The record fell again in October 2017, despite a mass shooting on the Strip that left 58 people dead and hundreds of others wounded. Single-month passenger records were posted again in May and, most recently, July. Overall, McCarran has logged year-over-year gains in passenger traffic for 17 straight months. “As the economic recovery started, we’ve seen this upward trajectory in traffic over the last five or six years and we’ve been preparing for it,” airport spokeswoman Christine Crews said. The nation’s eighth-busiest airport has rolled out a series of improvements in recent years, including a facelift for Terminal 1 and the addition of seven international gates within the D Concourse. Soon, McCarran will see improved retail and dining options, additional security lines and a modernization of the A, B and C Gates. More than 3.99 million travelers boarded or arrived on domestic flights last month, a 1.9 percent uptick from July 2017. International flights arriving or departing McCarran carried 339,507 travelers in July, a 6.5 percent jump from a year earlier. 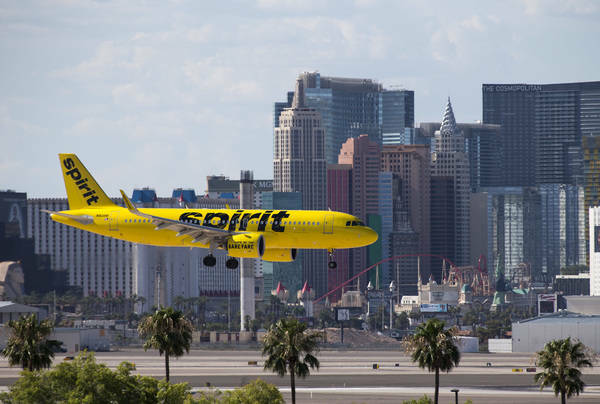 Among the airport’s five busiest carriers, a 27.2 percent leap was reported by Spirit while United was up 18.3 percent compared to July 2017. Smaller gains hovering around 4 percent were reported by Delta and American, while market-leader Southwest reported a 1.4 percent decline in passengers. Traffic decreases were reported by Frontier, JetBlue and Las Vegas-based Allegiant, while an increase was logged by Sun Country. Among international airlines, Air Canada saw a 4.1 percent decline in traffic with 67,852 passengers last month, while Canadian carrier WestJet was flat with 76,554 passengers. Virgin Atlantic Airways reported a 4.4 percent increase in traffic with 27,383 passengers. British Airways carried 32,477 passengers in July, a 22.9 percent jump from last year, while Thomas Cook Airlines was up 1 percent with 16,873 passengers. Korean Air was down 4.9 percent with 10,077 passengers, while Chinese carrier Hainan reported a 24.3 percent increase in traffic with 5,225 passengers. Mexican carrier Interjet reported a 6.1 percent increase to 18,389 passengers in July, while Aeromexico had a 17.4 percent jump to 21,148 passengers. Copa reported a 5.3 percent drop in July with 9,034 passengers.